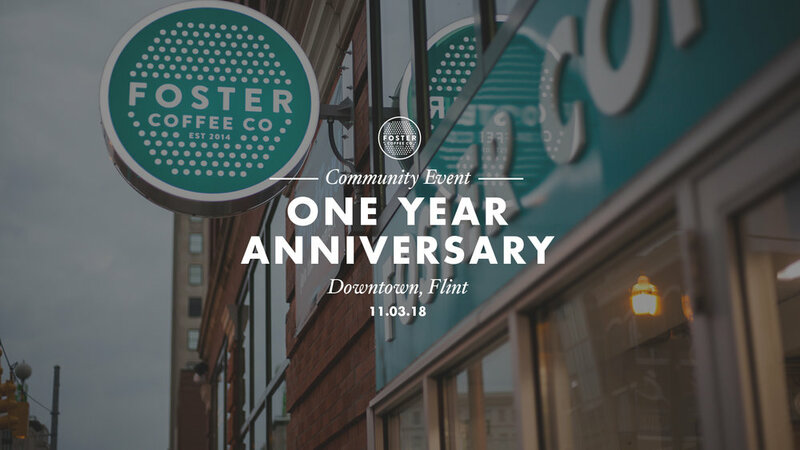 Foster Coffee in downtown Flint is turning one year old and we're celebrating with a party! Our store front has officially been open for a year in the Flint community and we couldn't have done it without you. Come celebrate with us on Saturday, November, 3rd from 8am - 6pm.